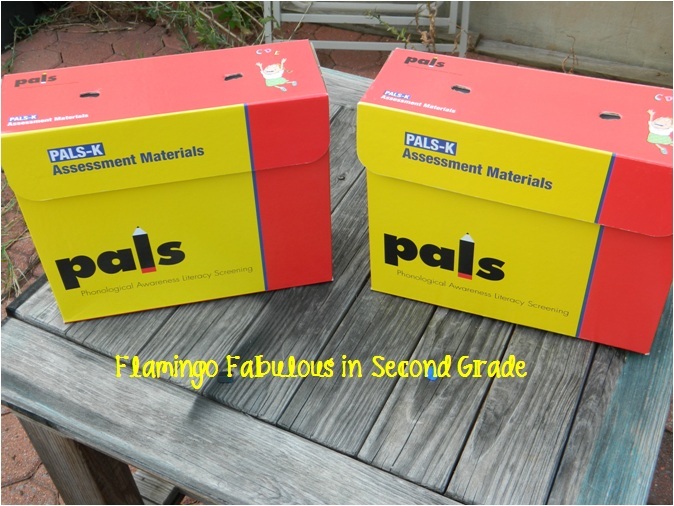 A few weeks ago was the last day of summer school, and as I was returning my materials to my classroom I happened to pass a recycling bin full of these really nice PALS boxes. I think that Virginia is the only state that uses the PALS testing program but I can't be sure. Let me know if you use it too.... Anyway, our reading teacher was apparently cleaning out the literacy room and decided to trash these boxes that normally hold all the hard copies of the testing materials. 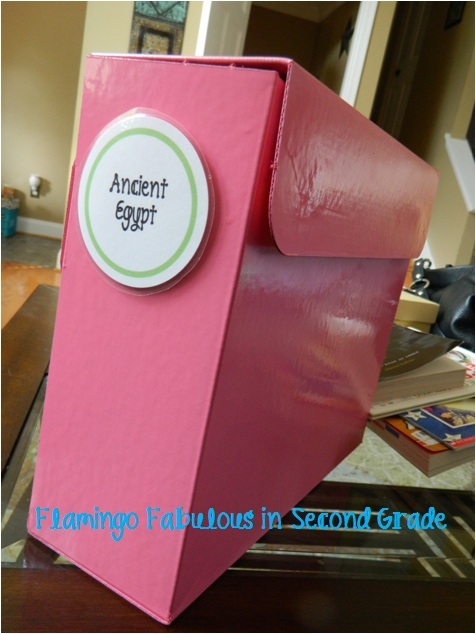 I'm not sure what she did with the materials but I knew that I could not pass up these great boxes. I really had to restrain myself, because the bin was overflowing with these puppies. There were probably 20+ boxes headed to the dumpster. I stole 4. But as I was leaving, I noticed a few other teachers had sniffed out the treasure too. So I got out my trusty spray paint and attacked them with Pepto Pink. 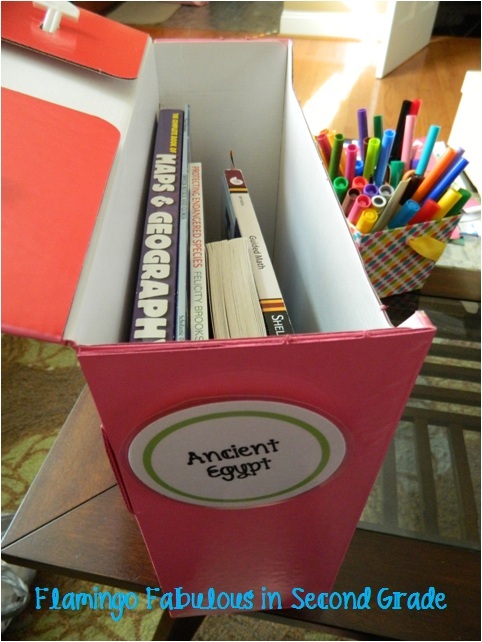 It was on my summer To-Do list to make these cute circle labels. 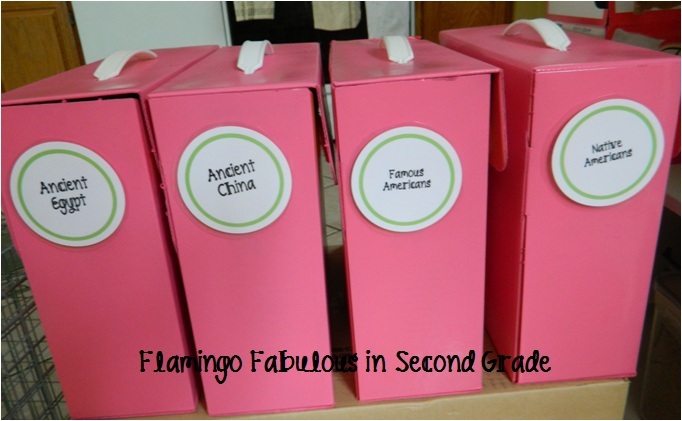 I made a set of labels for all of my read aloud book bins. These are books I keep on my personal shelf to save them from the wear and tear of the classroom library. Normally I keep these books in magazine files out on a shelf, but I decided that they took up to much space. I'm going to use these pink boxes to store books that I'm not using year-round. I'll probably find a home for them in my closet. At the last minute I decided to attach the labels with velcro so I can easily change the purpose of the box if needed. 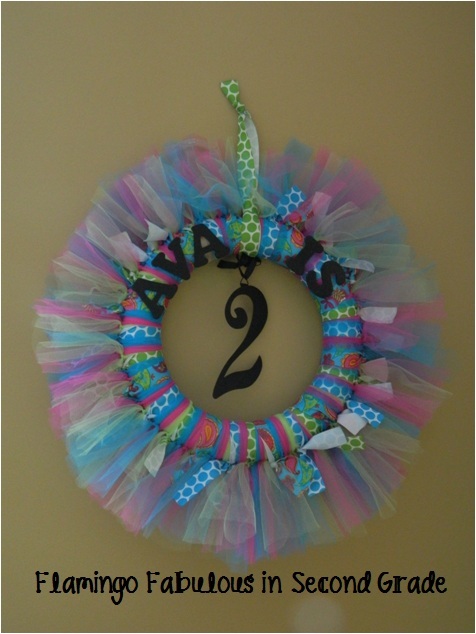 Tulle and matching ribbon in your preferred colors. The tulle came in 5 yard rolls and I only used about half of each color. 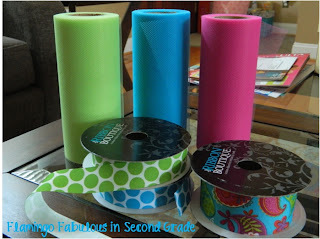 The coordinating ribbon came in 3 yard rolls and I used almost all of each roll. So what did I make with all this fun stuff??? Isn't it so stinkin' cute!?! It was time intensive, but really easy. I just cut the tulle and ribbon into about 12 inch strips and tied, and tied, and tied, and tied some more. I used a lighter to seal the ends of the ribbon so it wouldn't start fraying/unraveling. 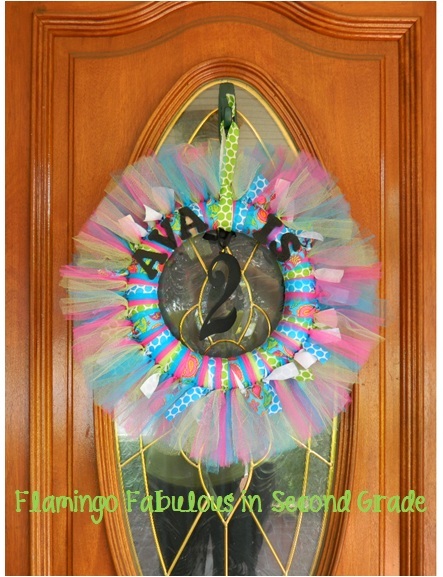 The pattern I used was one of each color of toole, then one color ribbon, three tulle, then the second color ribbon, three tulle, and then the third ribbon, and so on. I don't recommend using ribbon larger than 1 inch wide though. It's not impossible but it was difficult to tie the fatter pieces of ribbon and I used more of it because you need longer pieces than with the thinner ribbon. I also made it so that the number hanging in the middle can be changed out and used for future birthdays. I can't wait to hang it on the little birthday girl's door! If you want to see my inspiration click here. If you haven't seen the pictures of using nail polish to paint your keys then you must have been living under a rock for the past year. It's too widespread now to bother tracing it back to the original source but here are my new keys. As you can tell, they look pretty similar so hopefully the nail polish will help me tell them apart. I have doubts about the durability of the polish on the keys but it doesn't hurt to try, right? Thanks for visiting and don't forget to enter my Back to School Super Shoe Giveaway! The winner will be chosen via Rafflecopter tomorrow! Click the button below to enter. Good Luck! 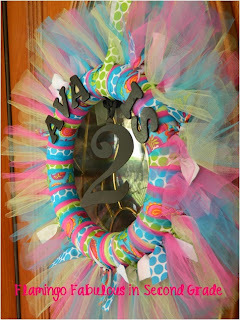 Love your cute wreath!! So colorful!! I'm having my first linky...and would love for you to join! It's A Teacher's fashion linky! The wreath is precious! 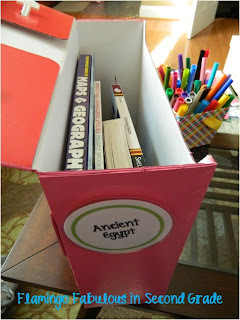 Also, great upcycle for your books. Your projects all look awesome!!! I love the wreath....it is adorable! Pals boxes!!! Score!!! Let's hope that means that Pals is getting new materials (new stories? No more "Nature's Magicians"?) Haha! If I never listed to a story about a "gobie or a polyp" again, I'd be ok with that. In other words, I'm about ready for some new stories! I'm kind of amazed they spray painted so well. I have my 2nd grade content books on a giant shelf behind my desk, in tubs. I'm sure this is way more space efficient. And also, seriously cute! 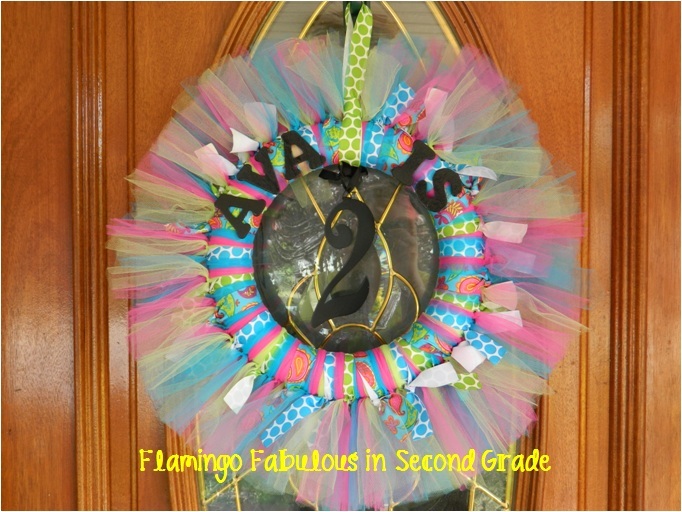 Love the wreath! Love the key idea! I use Sharpies on mine, but I think the paint is probably a lot more noticeable which might be handy in a lockdown. I'm jealous of your productivity! 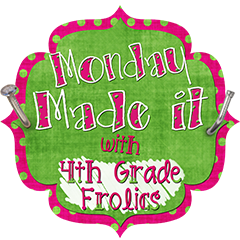 I have done zilch to get ready for school - although I still have 2 1/2 weeks till even our teacher workdays. I hear ya on the new PALS stories! The gobies and the polyps!!! It took 4-5 coats to completely cover the PALS logo and graphics. It probably would have taken less if I wasn't so lazy and went to get primer first. I just had the pink spray paint on hand and went for it. 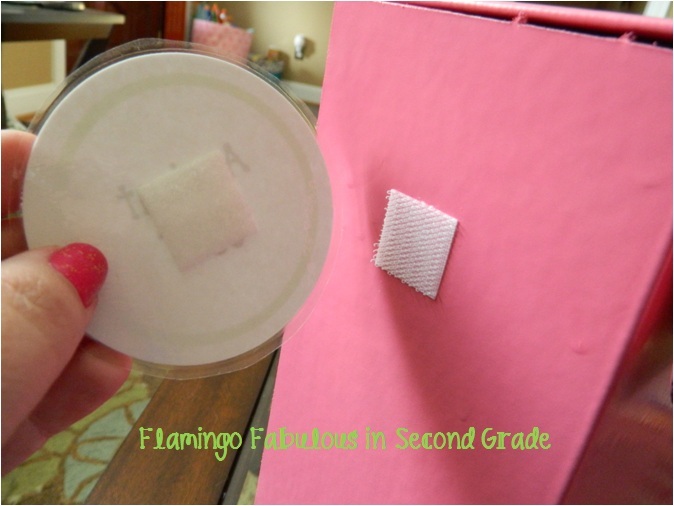 All of your projects came out super cute! I love your pink organizers! Oh My Gosh!!! That is the cutest wreath I have ever seen!! I would be in trouble if I had a little girl. Love that it is so girly!!! I have baseball bags and cleats and would not change it for the world!! Lol!! I am your newest follower. I would love for you to check out my blog! Your wreath is precious! 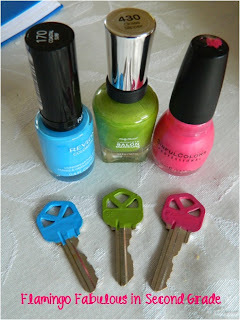 I have been meaning to paint my keys. Your colors are darling. Your boxes look great! I recently found treasure in the trash as well. I found boxes without lids that I painted with a roller. I'm like you. I didn't know how well it would work, but I was very pleased with the results. I'd love for you to come look at them. Yes! 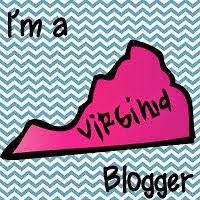 I found a Virginia blogger that I can follow! I immediately recognized those PALS boxes! I think I would have taken all 20--nice of you to share the wealth with other teachers! Great idea! I love how you reused the PALS boxes! I teach in Northern Virginia too (Prince William County)!!!! Oh wow! I'm so used to bloggers being far away that it feels weird to find one in the same state, same county even! Good luck on your first year!